An associate professor of voice and voice area coordinator was one of the five teachers to receive the 2014 William T. Kemper Fellowship on Monday. Ann Harrell had a pleasant surprise when University of Missouri Chancellor R. Bowen Loftin and Commerce Bank Chair Jim Schatz awarded her with the fellowship that includes a $10,000 check. For Harrell, words could not describe how she felt about receiving the award. "Having people look at your work and say, 'Wow, that's great. You deserve this award,' is just…I don’t even have words really, it's just amazing and I could not be happier,” she said. 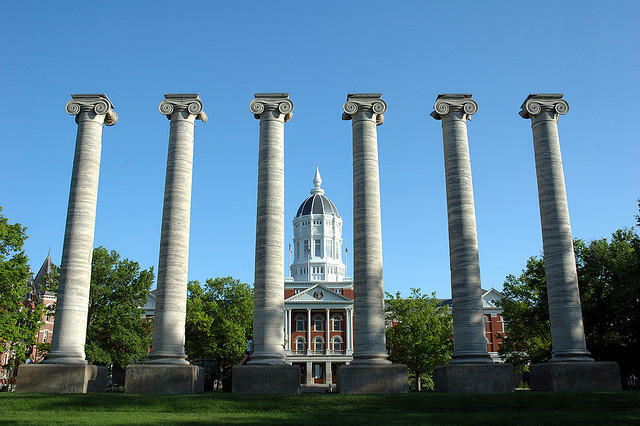 Established by Kemper, a, 1926 MU graduate, the William T. Kemper Fellowships for Teaching Excellence is awarded to five outstanding teachers at the University of Missouri. It began in 1991 with a $500,000 gift to honor these teachers. 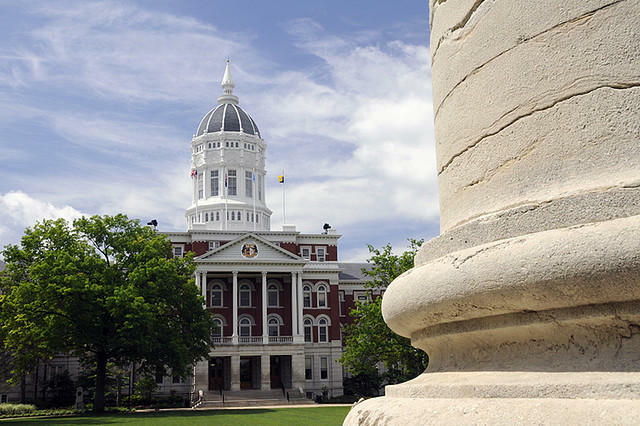 As a tradition, the MU chancellor and executives from Commerce Bank, the trustee for the Kemper Foundation, surprise Kemper Fellows with an interruption of class to award them with $10, 000 to spend as they wish. When asked about what she’ll do with her reward, Harrell answered that she has yet to decide. "I will have some thinking to do about the funds," she said. Not only does this award add prestige for Harrell, but she also believes that the award allows the university to gain publicity and increase the stature to the School of Music. Adjunct Assistant Professor of voice, Mark McCrory affirmed the skills of Harrell as a professor. On a more personal level, McCrory sees Harrell as somewhat like a mentor since his arrival at the university this past fall semester. She’s helped him adjust to his new environment, giving him advice on teaching and anything that’s related to that. The other recipients of this reward include John Bennett of the Trulaske College of Business, Jeff Krug of the School of Health Professions, Leigh Neier of the College of Education, and Bryon Wiegand of College of Agriculture, Food and Natural Resources. This is the first time that all five fellowships were awarded in a single day. The presenters of the William T. Kemper Fellowships for Teaching Excellence came to surprise the first of five winning teachers during their lecture on Monday. “The Veterinary School and Animal Sciences, we’re kind of stuck on the other side of campus. And sometimes I think no one knows we’re here," Tim Evans, associate professor of toxicology in the MU Campus of Veterinary Medicine said. "Apparently, you found us, so that is good." 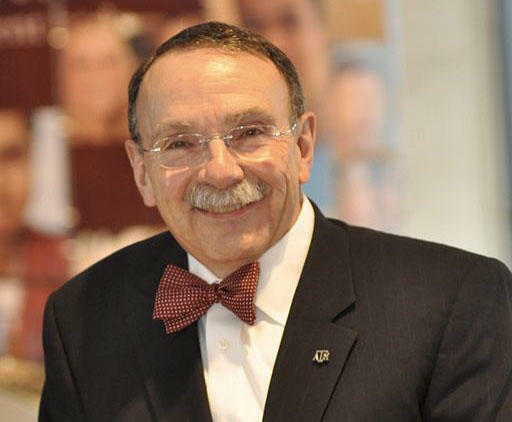 Richard Bowen Loftin has made his presence on the MU campus feel like two years as opposed to the two weeks he has been in office.